Pink is not my favorite color. Never has been. 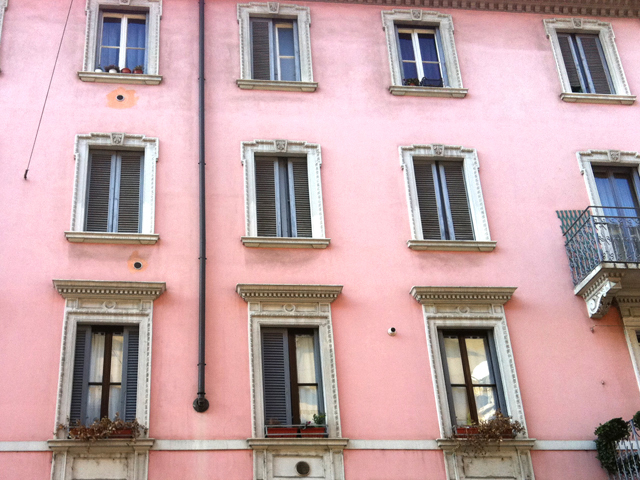 But, I have grown to like the pinks that pop up here and there in Milan like peonies out of season. 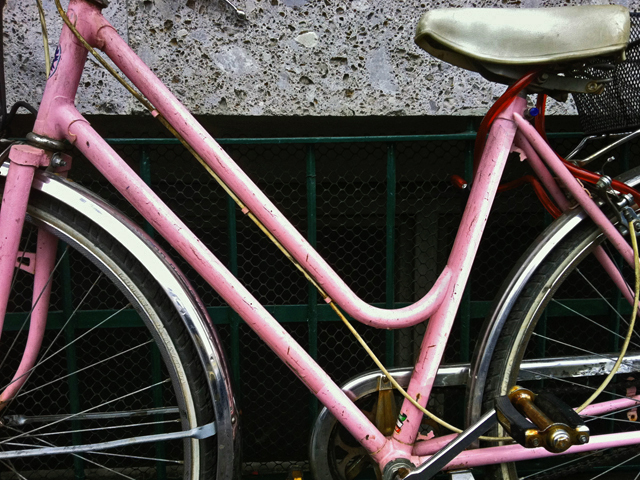 I am in love with the beat-up, pink Vespa that cruises my neighborhood, but which escaped my lens. I admire the judicious use of pink tablecloths in traditional Italian restaurants. I am tickled (yes, there’s that color again) by the entirely pink interior of the mad pizzeria “Playtime” (I assume it’s named after the Jacques Tati film by that name) in via Ravizza. 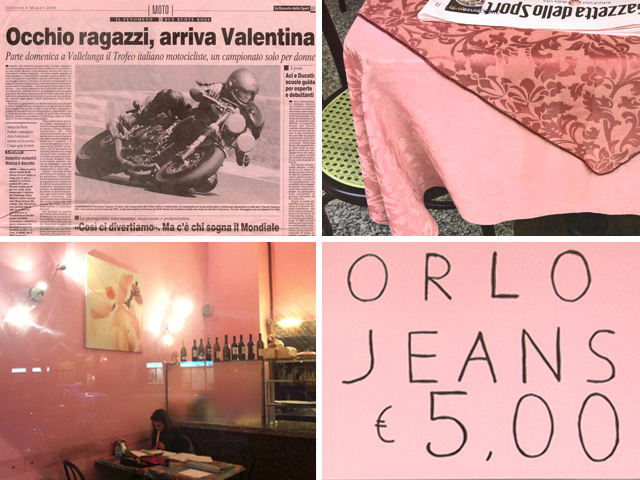 The best thing about Milanese pink is that it’s not just for girls. Its usage is either too dignified or too funky or, pardon the color metaphor, simply too “out of the blue” to be considered strictly a feminine indicator. Take for example the ubiquitous sports daily Gazzetta dello Sport. It’s been pink forever. In fact, it’s nicknamed “La Rosa,” and it proudly bears the tagline Tutto il rosa della vita (literally, “all the pink in life,” but meaning “all the good things in life”). You don’t see men shunning it because of its color. Quite the opposite. This entry was posted in AROUND US, COLOR, ITALY and tagged il futuro è rosa, la vie en rose, MIlano, pink, Playtime pizzeria, rosa. Bookmark the permalink. 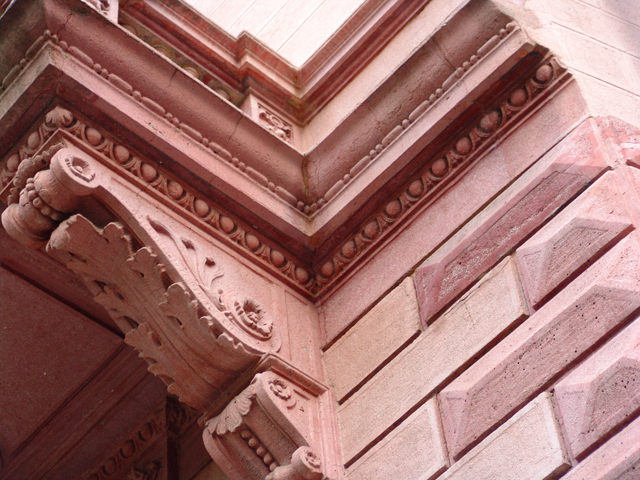 … or as the French say, “La vie en rose”! How could you not love pink when it looks as good as this? I love men in pink shirts. I even managed to get my conservative accountant husband into one. nice. pretty. calm. comforting. unlike the pink in the latest heythattickles entry. fluorescent!! !